I know I am posting a bit late on Sunday evening...but still a chance for all to try. 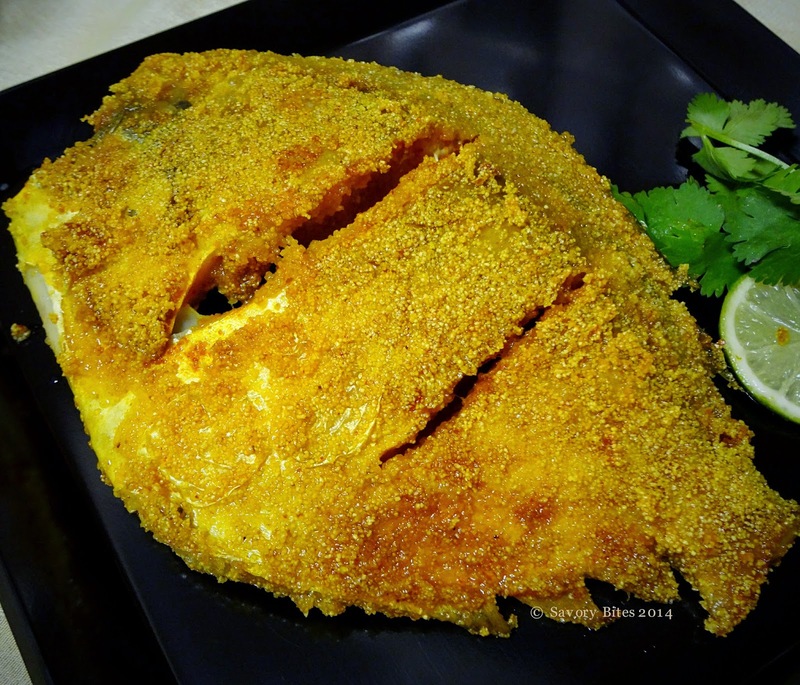 This is one of my favorite fish preparations now as it turned out similar to ones we get in Karnataka style restaurants. Try it out and let me know if this isn't something u will prepare again!! Wash and clean the Pomfret. In a mixer grinder, grind all the ingredients together (i.e. tamarind pulp,salt,turmeric powder,chili powder,garlic) to a smooth paste. Don't make the paste runny. Apply this paste to fish and let it sit for 2 hrs. 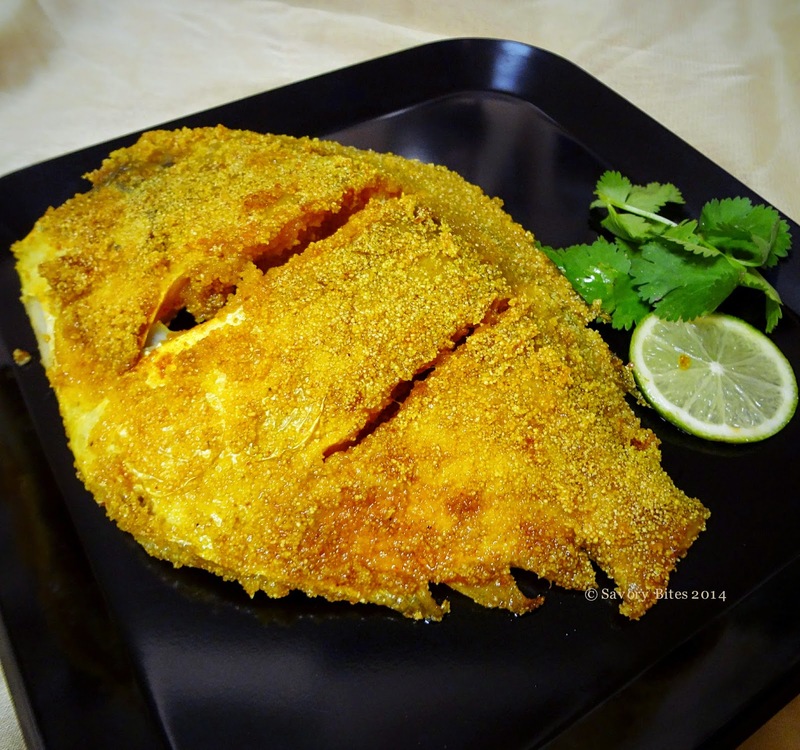 Now,in a pan add oil and when the oil is hot, fry the fish with masala applied as it is or coat with semolina and fry till cooked.